Rolex Prince 9K pink gold vintage wrist watch. 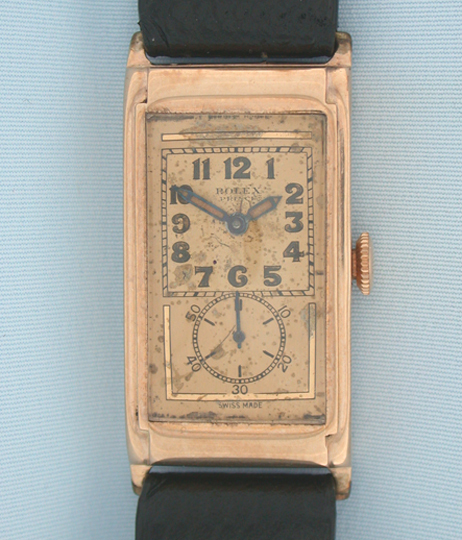 Original dial with natural oxidation and aging which looks more attractive than it appears in the enlarged photograph. 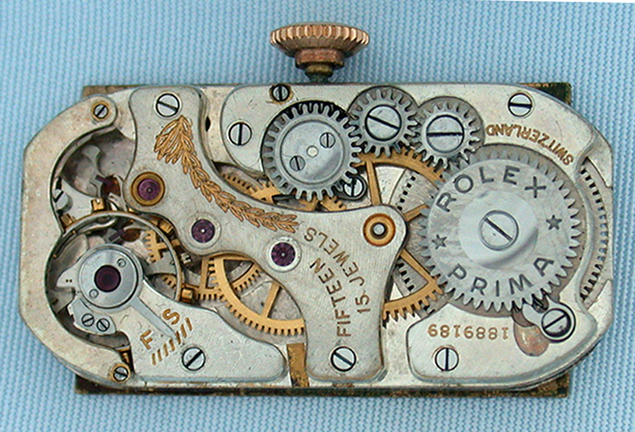 (Dials can always be refunished to look like new.) 15 jewel movement with balance guard. 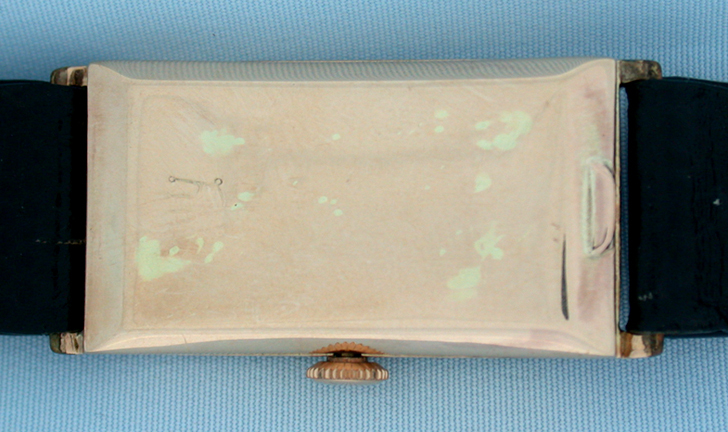 Case back shows signs of filled presentation.